Bowling Ball Reviews - Including Reviews Of Bowling Balls From Storm, Hammer, Columbia Ebonite, Brunswick, Lane 1 and More! Reviews Including The Bowling Ball Layout, Type Of Bowler, Lane Conditions, Coverstock Finish Used and Test Result. The bowling lane conditions were a typical 41 foot house pattern on Brunswick Pro-Anvilane Synthetic bowling bowling lane surface. In testing; The Storm Sure Lock gave us a medium skid through the head area of the lane with a longer and smoother transition in the mid-lane as well as a continuous arcing style bowling ball motion. We felt the Storm Sure Lock would be best used as a first game ball on medium to heavier and longer lane patterns. In addition, we also felt the Storm Sure Lock would be best used playing a medium line on medium oil patterns or a direct line on heavier patterns. A good ball for breaking down the pattern and a good complement for the snap lock. You will need some oil but don't have to be flooded for peak performance of this bowling ball. A strong ball from Storm. It would be a good strong 1st game bowling ball on medium to heavier oil patterns with dry back-ends. You will need some oil for this ball to work at it peak performance... Refer to the resources below for more information about the Storm Sure Lock from Storm Bowling…. 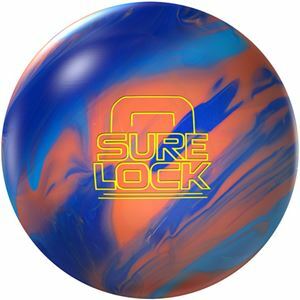 Watch The Storm Sure Lock: Bowling Ball Video Review! Affiliate links are used on this page and we are a paid affiliate. Affiliate links are used in our blog posts and we are a paid affiliate.